How do I transfer the ringtones to my mobile device? 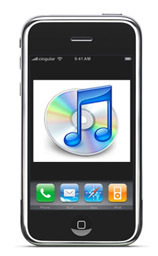 All the ringtones offered by us are in mp3 format. Before you get one, please try it out to make sure you are able to hear it on a reliable basis under various conditions or you might be missing a lot of calls. You can use the methods listed here to transfer the ringtones to your cell phone once you have selected 2 or 3 that you feel comfortable with. The key here is select one that you can hear at all conditions, one that you want to use to be discreet, and another to use when you are in ultra secret mode and don’t want any adults to accidentally take notice of you. 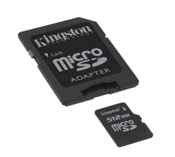 Transfer to a Memory Card (MicroSD and Memory Stick – Most new cell phones have expandable storage in the way of a memory card slot. Phones usually come with one of two different options: MicroSD or Memory Stick. One of the easiest ways to get the mosquito ringtone on your phone is to download teen buzz to your computer and save it to a memory card that is compatible with your phone. The exact instructions will be different from phone to phone, but you want to copy the ringtone file from the card to your phone. Some place in your phone you can view the contents of your memory card and accomplish this. Internet enabled mobile phones – Simply go to Mosquito Ringtones and download the tones directly to your mobile phone. Follow the instructions in the manual for your mobile phone and select it as the ringtone you want to use. Using Bluetooth Wireless Link – Bluetooth is another way of wireless transfer between your mobile phone and your PC. Most new cellular phones supports blue tooth as most wireless headsets for cellular phone use Bluetooth for connectivity. If you are using a fairly new laptop, it will most likely have built-in bluetooth transceiver. 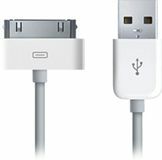 However, if you have an older laptop or a desktop computer, you will most likely require a bluetooth dongle (adaptor) on your PC/laptop to do this type of transfer. Once you set up a Bluetooth connection between your mobile phone and your computer, you will need to download the mosquito ringtone to your PC first. Then, you can transfer the mosquito ringtone to your mobile phone using the Bluetooth connection between your PC and your mobile phone. Using Infra Red (IR) Wireless Link – Infra Red is another option for wireless data transfer though it is a rather outdated technology and a bit on the slow side. You will need to have infra-red connectivity on both your cellular phone and your PC/laptop for this to work. First check if your laptop has a built-in infra-red port or your PC has an infra-red port adaptor. Then check the manual of your cellular phone to see if it has infra-red port (a good number of cellular phones built before the migration to Bluetooth has a built-in infra red port). Then, you can follow the instructions in your manuals to establish a link between your cellular phone and your computer and use this method to download the mosquito ringtones to your cellular phone. The process is practically the same as the Bluetooth method where you download the tone to your computer first then transfer it to your cellular phone via infra red(instead of Bluetooth) connection with this method. Using Data Cable – Some mobile phones and most PDA type phones come with or have the option of getting some kind of data transfer cable to connect with a PC via USB (older mobile phones connect via serial ports on the computer). PDA type mobile phones generally use a docking station solution, whereas, regular cell phones have an optional cable that can connect to the bottom of your mobile phone. This method of data transfer is generally pretty straight forward if you follow the instructions of your manual. Once link has been established with the software supplied by the connection cable or PDA docking station, you can simply download the ring tones to your PC from Free Mosquito Ringtones then transfer the mosquito ringtones from your computer to the mobile phone. iPhone – We’ve come up with a new way of getting the teen buzz ringtone onto your iPhone. It’s really easy, Read our detailed instructions for getting Teen Buzz on the iPhone. Please refer to your cell phone manufacturer’s instructions for exact details on how to transfer files as each manufacturer/model of mobile phones has its own method. Once the link is established, it’s usually very simple. Use the software supplied with the cell phone (or data cable) to transfer files/ringtones from your PC to the cell phone. Once the mosquito ringtone is transferred to the cellphone, use it as you would any normal ringtone or alert sound.